Last year Monarch Air Group published their private jet predictions for 2018, which stated that cryptocurrencies would be a norm for booking flights and that charters would lead the way in the business aviation segment, within others. Both have been a trend during the early stages of 2018, alongside the increase of jet card memberships and the drop in jet ownership thanks in part to the competitiveness of overall charter providers. According to Knight Franks 2018 Wealth Report, in Europe 51% of all the private jet departures were operated by charter flights. 40% were made by private ownership and just 9% by fractional. In the U.S. private ownership continues to lead the way with 62% of departures, charters in second place with 27% and fractional with 11%. Nonetheless, in last year’s report, charter flights were reported as the third option in the region, what demonstrates the increase in this specific business line during 2017. Charter flights were also the most common of the three in Asia, Australasia and Russia, propelling this sector to the first place of the global average of private jet departures. The aforementioned should only continue to rise during 2018. There was a day when the super-rich bought a private jet to travel alone in peace or with the family. Those winds are shifting fast with the competitiveness of the charter segment, which hampers the attractiveness that owning a jet once had. Owners keep owning, but the new potential buyers are moving away from the high annual costs of owning their own aircraft and investing in the cost-efficiency that comes with renting one, thus avoiding the piling maintenance, insurance and hangarage costs. If you don’t fly more that 250 hours a year, then the private aviation standard calls for not buying. The rise of membership cards, fractional ownership and the competitive charter segment, along with its vast offer of empty leg flights at a discounted price has all contributed to a drop in the average age of passengers. Monarch Air Group, a private jet provider in South Florida, during 2017 registered a one-year reduction in it’s passengers, a trend that speaks not only a drop in age, but also of the addition of new clients. Apparently, it’s safe to say that the millennial generation will continue shaping the industry during the upcoming years. Private aviation is all about customization. From start to finish, to inflight services and post flight amenities, searching for new ways to attract passengers should be paramount for providers. And a trend that has been in place since mid-2017 all through the second quarter of 2018 are cryptocurrencies. Its use is growing at a record pace in diverse industries, moving faster that lawmakers, finding success albeit all the shaky press that surrounds them regarding its volatility. 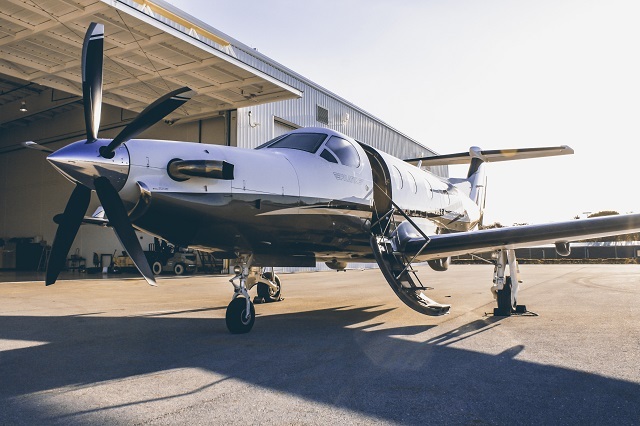 An increasing number of private jet providers have started to offer this option, adapting to the business trends in place and leaving in the hands of their clients the power to pay with any means of payment.